You want raw badass power? 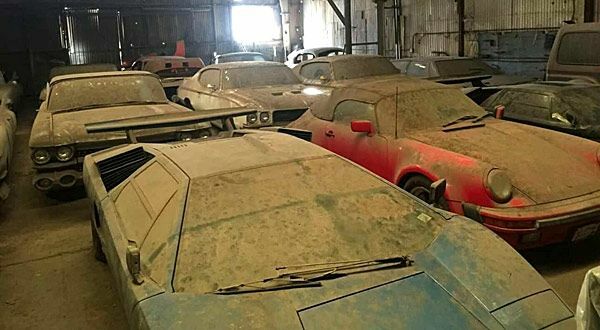 Hammer-forged nastiness? 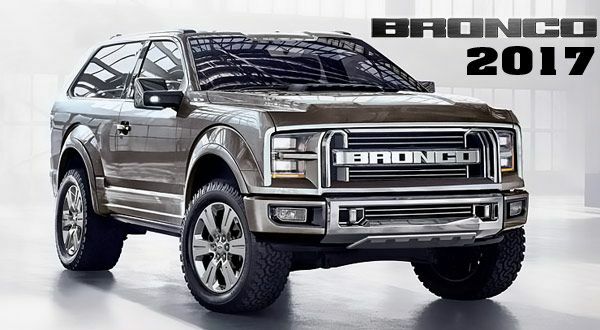 The kind of machine-born apocalypse that looks like it was banned from the set of Mad Max for being too ridiculous? Forget that puny Harley-Davidson, sweetie. 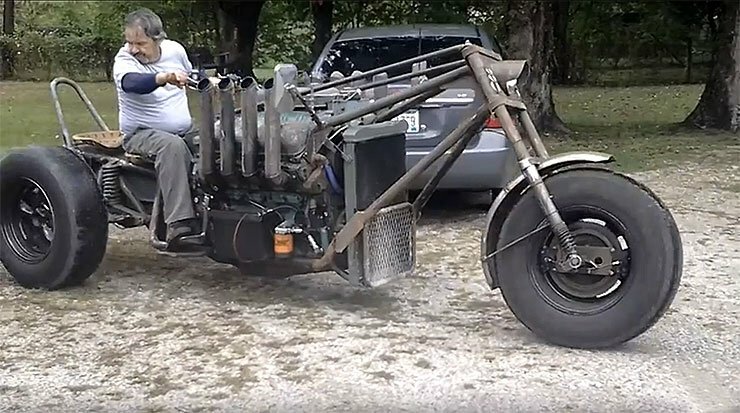 What you need is a trike with a goddamn Detroit Diesel V8 engine. What you’re looking at is a custom motorcycle trike that’s made of iron, steel, blood, and billows smoke like a seventeen year-old Volkswagen owner, vaping at their local car show on a Saturday night. 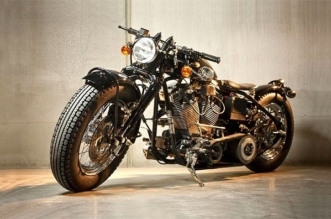 The motorcycle was built using a two-stoke V8 Detroit Diesel engine, and in all respects, is Mad Maxian in nature and appearance. What you’re going to see in this video below is a complete badass rat rod trike that beyond any doubt will surprise you with its dirty, metallic and charismatic look. The trike appears to be street legal given the fact that it has a rear license plate. Although we’re not sure how a state would register this? Honestly though, who cares! 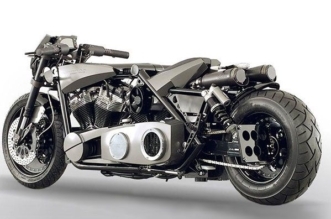 It’s a Mad Max trike with a diesel engine, what’s not to love? 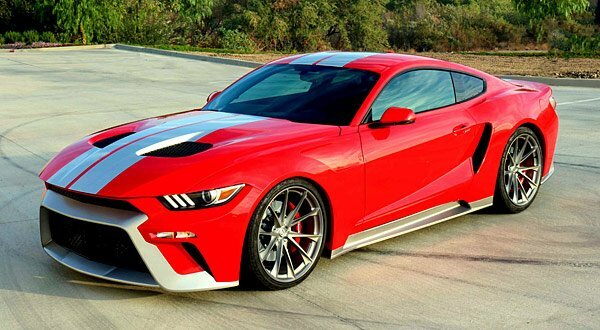 We do have a few questions for the builder about the engine he used, and why he built it, but the only question that really matters is, how does it drive? We’d imagine that it would be somewhere between steering a large yacht and a Yule log still on fire, blowing black smoke into your face. Would any of you ride this beast? 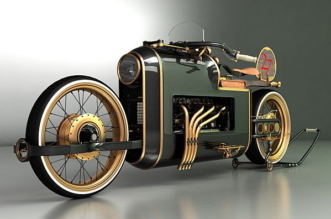 Can you imagine what it would be like to open the throttle on this crazy thing? Or would the precarious nature of its build quality scare you off from having a once in a lifetime experience that could possibly kill you? We’re definitely still undecided. 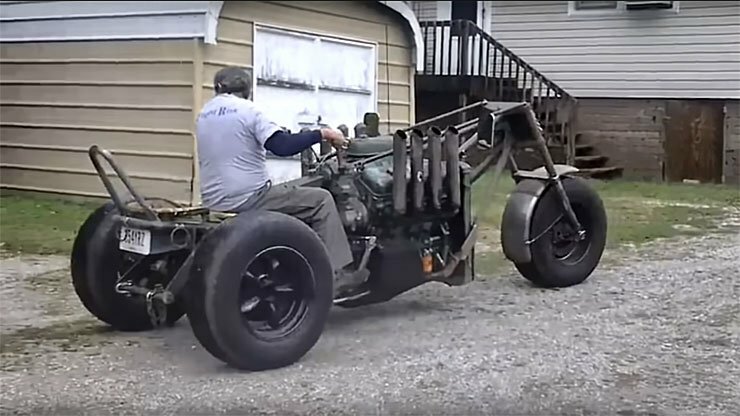 Watch the video below and see how cool this rat rod trike really is!